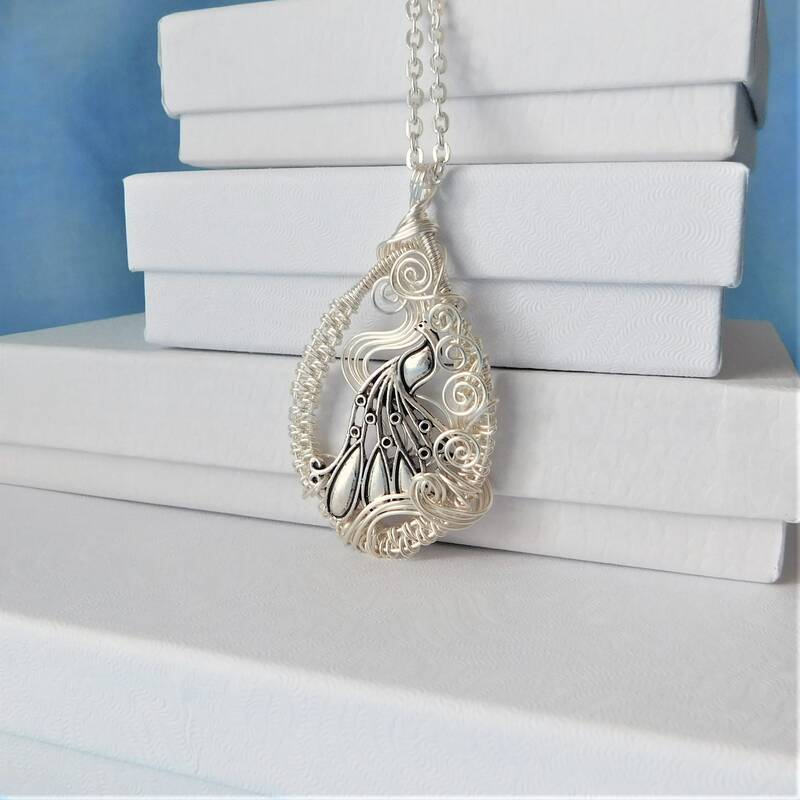 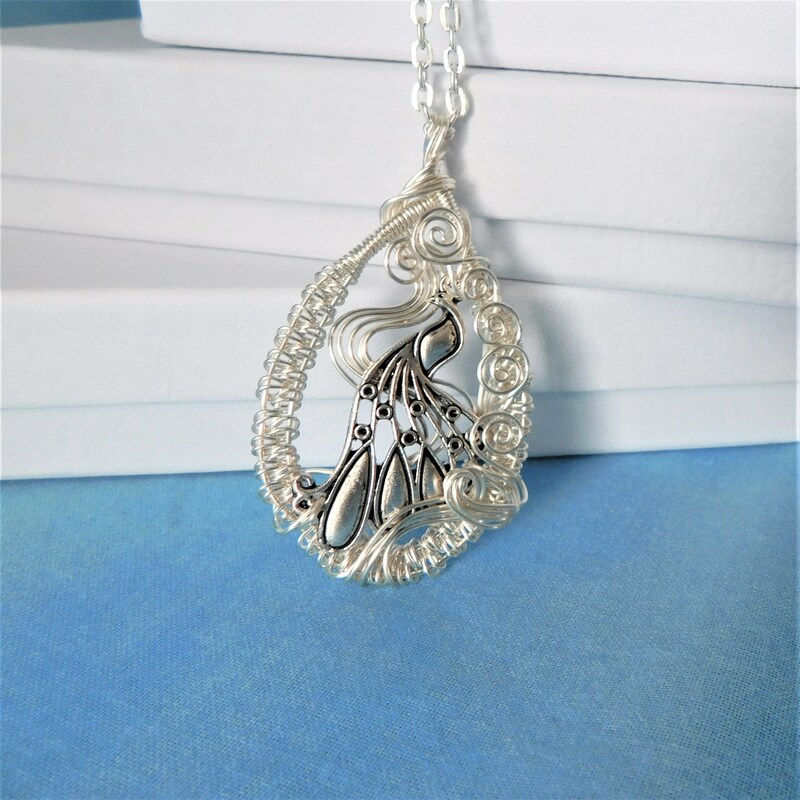 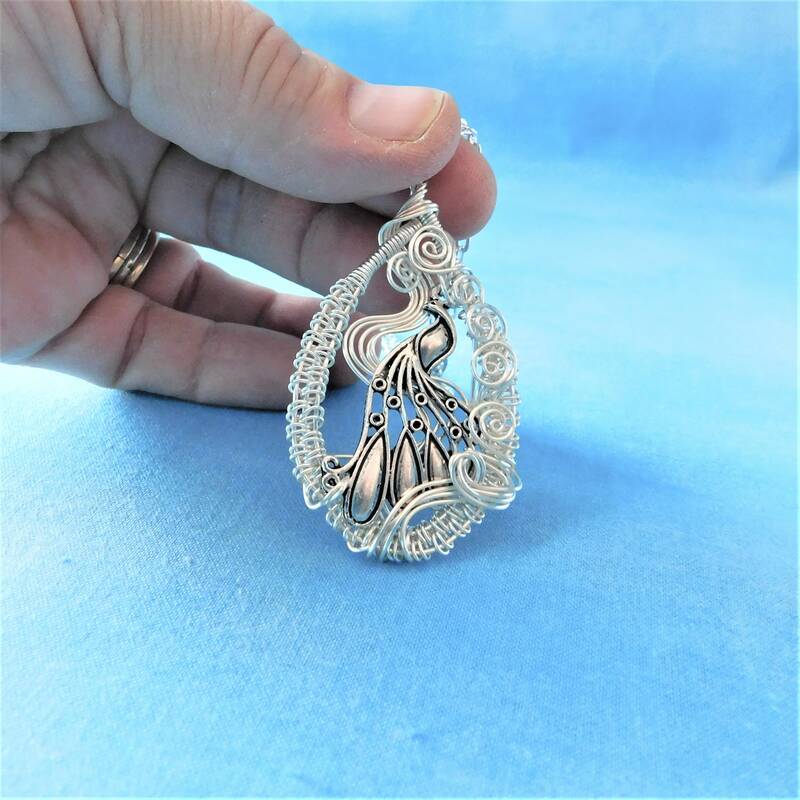 Non tarnish fine silver over copper wire is hand woven and sculpted to frame a graceful silver peacock. 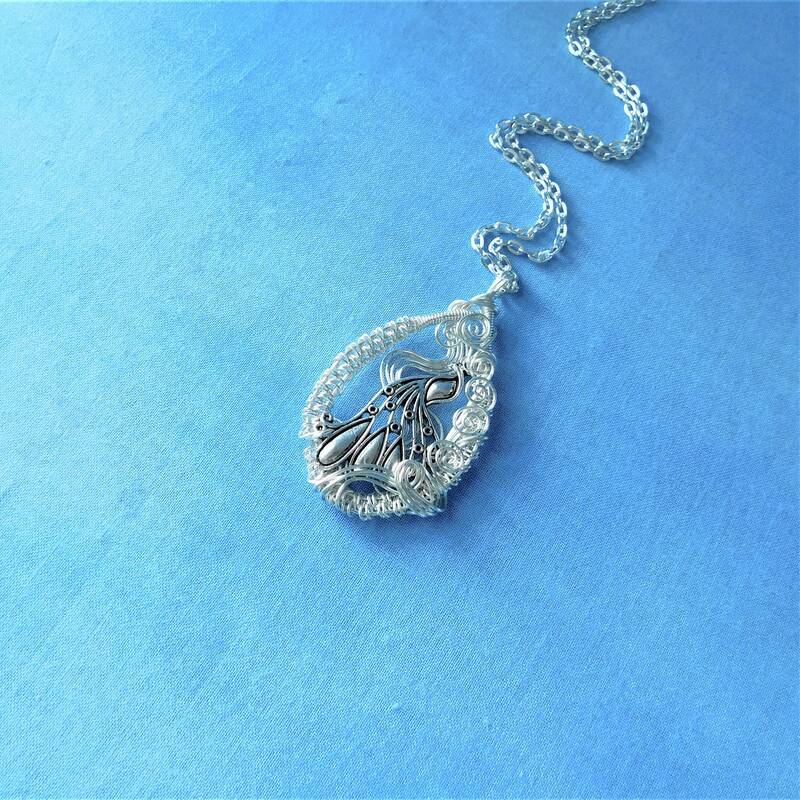 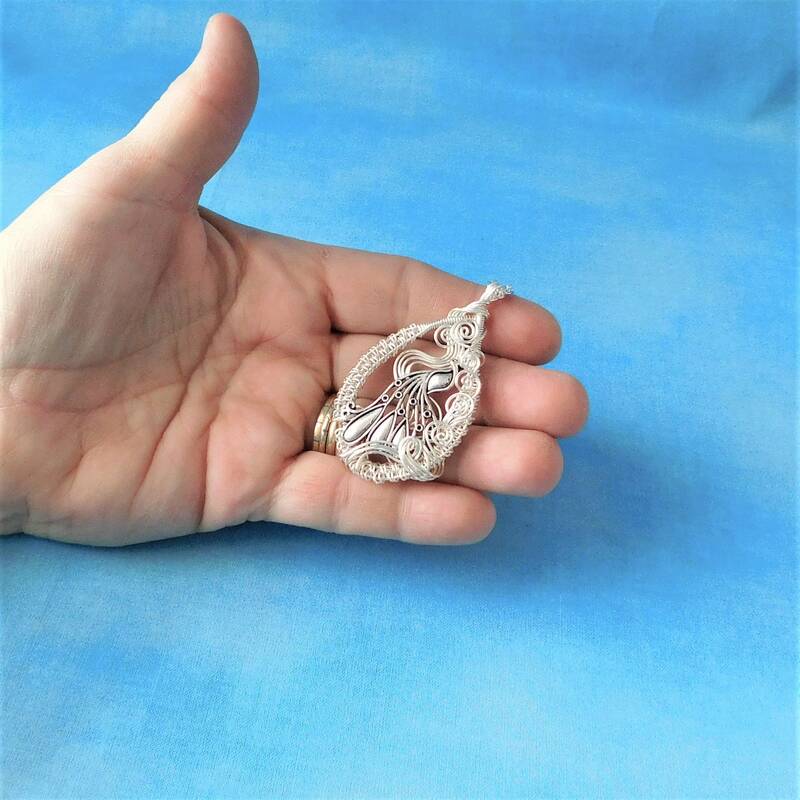 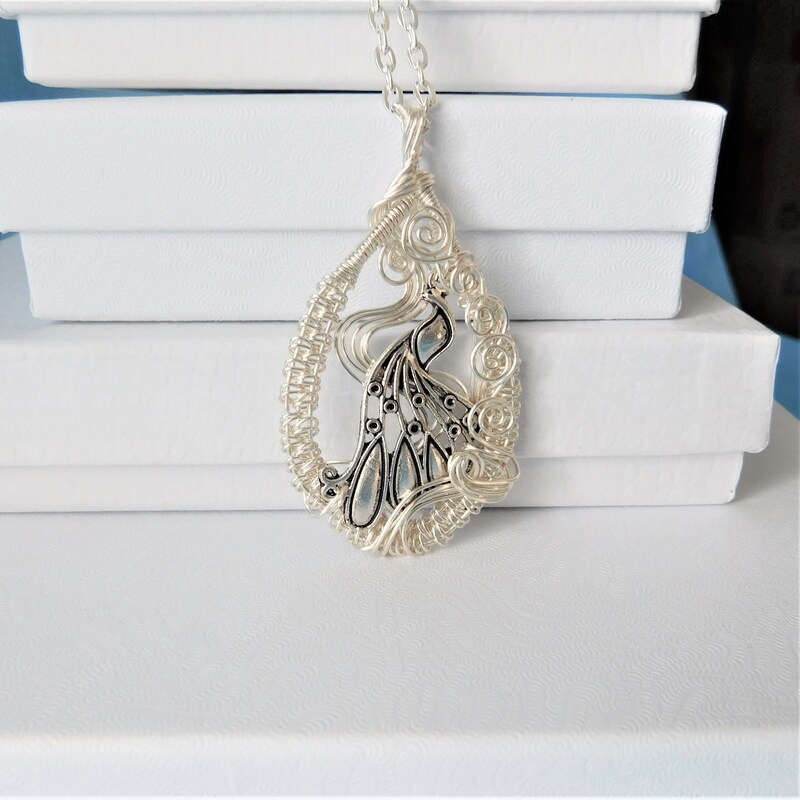 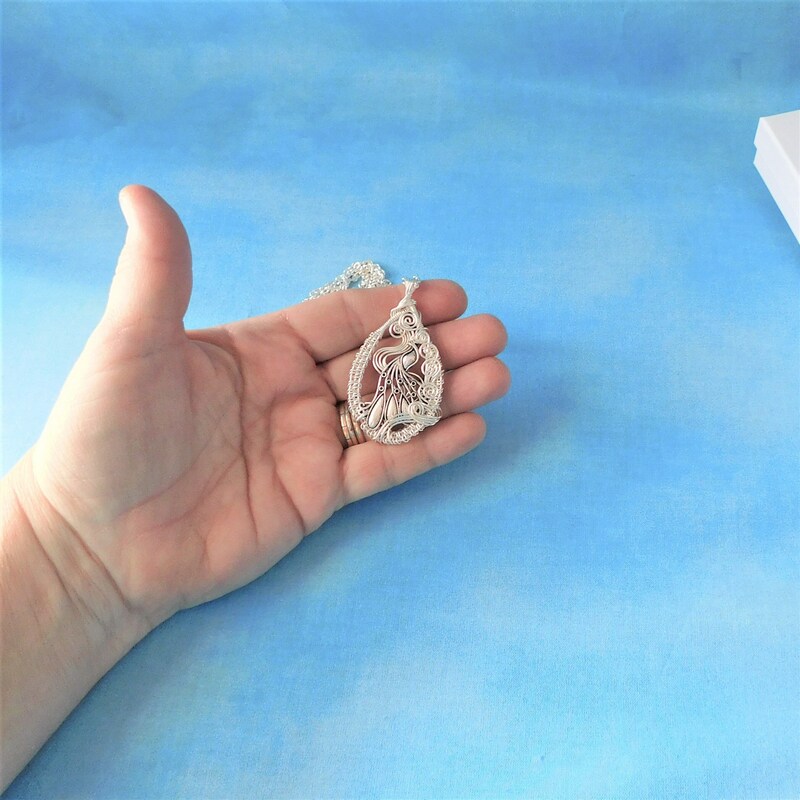 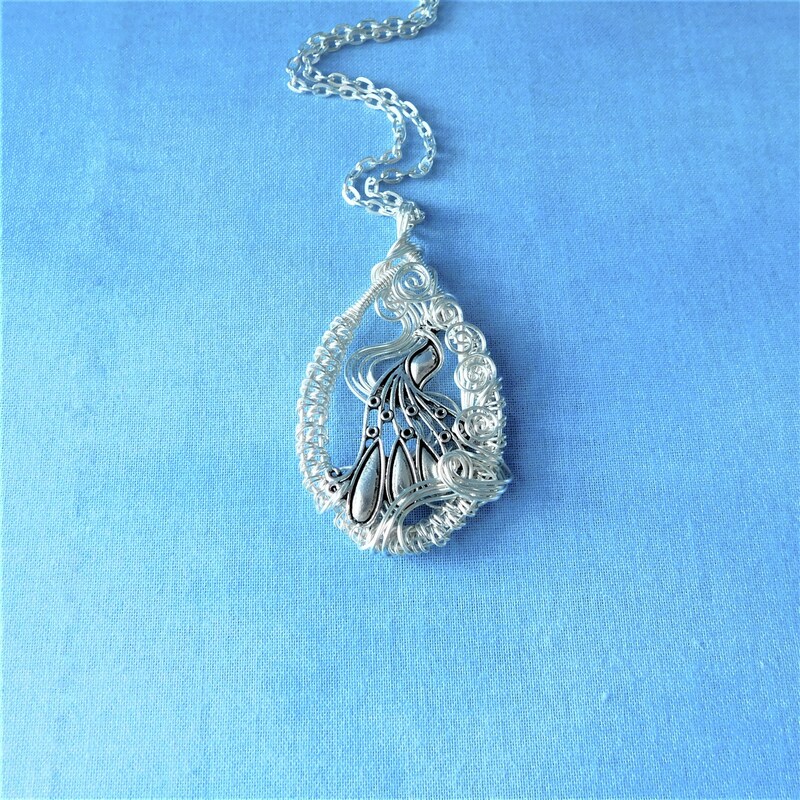 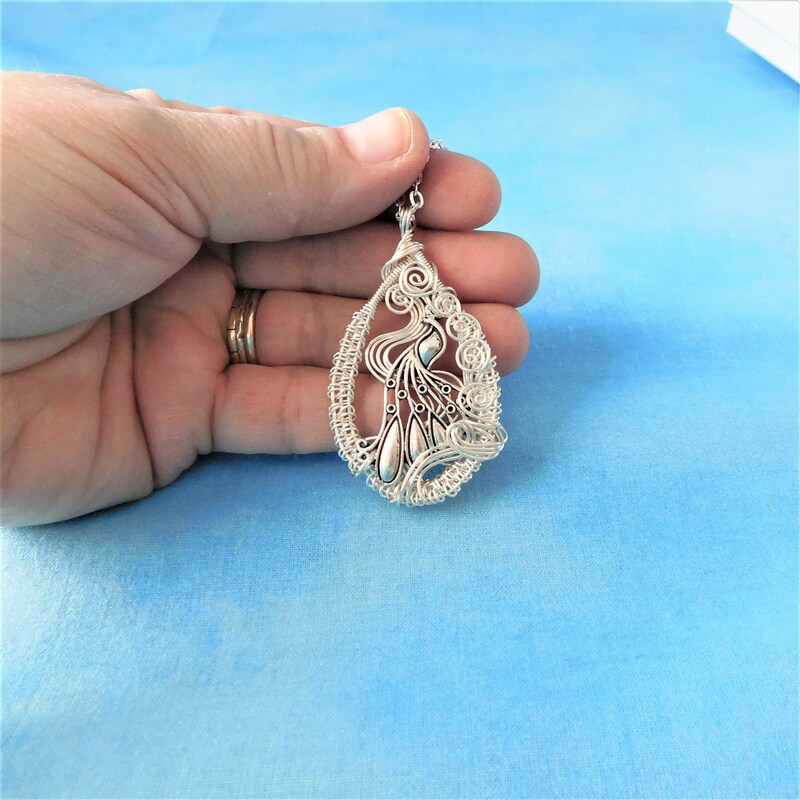 The pendant was artisan crafted with only four strands of wire. 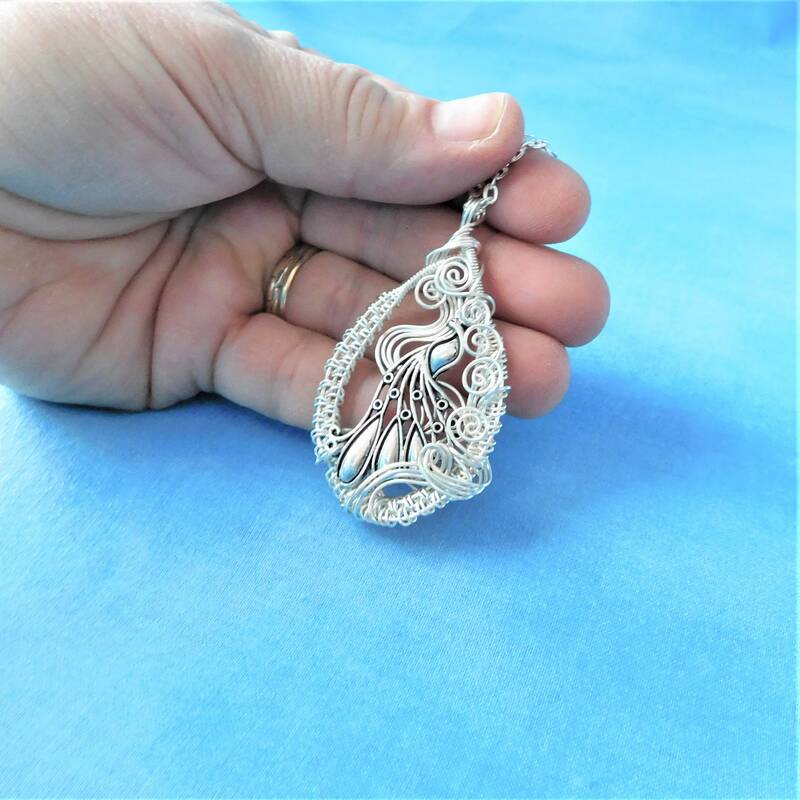 The lovely peacock was entwined within these four strands of wire using only pliers and patience.